Have you ever been dreaming to visit China? From Chinas most famous historic sites, rich ancient cultures, breathtaking modern marvels, to the breathtaking Lijiang River and picturesque small Yangshuo Town which are with the unique beauty that goes beyond any words, you can experience and enjoy them all in this tour! We arrange tourists to take bullet train from Beijing to Xian, take flight from Xian to Guilin and from Guilin to Shanghai. In this way, although the tour price would be more expensive than taking sleeper train between the cities, tourists do not need to sleep overnight in the train and can completely relax in the nice hotel after daytime tour. The cities you will visit in this itinerary are: Beijing, Xian, Guilin, Yangshuo and Shanghai. All of them are the Must for tourists who plan their tour in China. Beijing, the capital of China, has been the capital of the whole China for more than 700 years and this citys history can be dated back to over 3000 years. Its Great Wall, splendid palaces, beautiful gardens, old temples, a considerable variety of exhibitions and museums and former residences of celebrities show its glorious history and civilization. 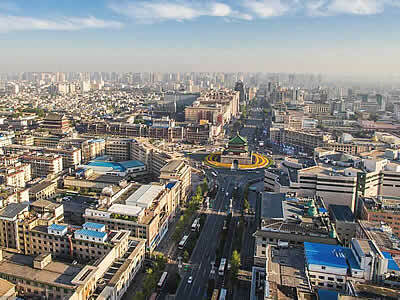 Xian ranks first among all ancient capital cities in China. Its time to be the capital is the longest, the quantity of dynasties which made Xian as their capital is the most (13 dynasties placed their capitals here.) in its over 3000 years history. It is the most significant influent ancient capital in China and one of the important birthplaces of the civilization of China. So far, Xian enjoys equal fame with Athens, Cairo and Rome as one of the four major ancient civilization capitals in the world. Guilin area (include Yangshuo) along the Lijiang River with the stunning landscape is one the most picturesque areas in the world. The strangely shaped hills, or karsts, limpid mirror-like rivers with the verdant vegetation ranging from bamboo to conifers together with wonderful caves make Guilin a fairyland like sightseeing destination for all tourists. The Lijiang River is one of the best highlights in China, known all over the world. Considered as the soul of Guilin where nature shows its own beautiful creativity giving to the area the rank of "the best landscape under heaven", the Lijiang River is the most famous and important natural attraction that people must visit if they have time when visiting China. Fascinating poets and painters since early ages, the Lijiang River stands today as one of the most popular and picturesque scenic spots of China. Endowed with amazing karstic hills, mountains, caves and little streams, the Lijiang River is a perfect place to admire rice paddies, bamboo groves and forests, waterfalls, water buffalos, ancient villages and the symbol of the area: fishermen and their cormorants floating by on bamboo rafts. Dotted with eye-feasting scenery, the river is always surprising with its surrounding lush landscape, fauna and peaks reflecting on the clear green and mirror-like water under the blue sky. As a real fairyland on earth, the Lijiang River is a jewel of the area, where generations of local Chinese people live by, out of the turmoil of big Chinese metropolis. Winding through some truly spectacular rock formations that have become the famous highlights of the Guilin-Yangshuo area, the river never disappoints its visitors. Along the Lijiang River, travelers can experience original activities such as taking Lijiang River cruises and admiring the highlights along the river such as the Elephant Trunk Hill, the Nine Horses Mural Cliff, the highlight section of Lijiang River from Yangdi to Xingping, the scenery on the RMB banknotes of 20 Yuan as well as doing some hiking, camping, kayaking and taking photographies. With unique beauty that goes beyond any words, the Lijiang River scenery is one of the most represented Chinese landscapes seen on traditional paintings and poems. As a breathtaking scenic spot, this China ten top tourist destinations featured on the current 20 RMB banknote is a worldly recognized sightseeing getting more and more fame all over the world. The National Geographic Magazine listed it on the Worlds Top Ten Watery Wonders; former US Presidents Bill Clinton, George Bush, millionaire Bill Gates and our former customers recognized also its beauty among the worlds best destinations. So no wonder why ancient Chinese poets called it the "best landscape under heaven". Taking on board for a cruise from Guilin to Yangshuo County is the centerpiece of any trip or tour packages to this area. Universally seen as an outstanding highlight of Guilin, a Lijiang River Cruise offers sightseers a unique experience of admiring a true Chinese painting with green hills, buffalos, cormorant fishermen and pristine water. Guilin is definitely the perfect representation of the Chinese mountain and water, driving travelers into another world where, overwhelmed by its beauty, time is suspended. Shanghai is the most modern city with all of Metropolis would have. Meanwhile, large parts in downtown Shanghai still remains its old elegant appearance to show us its unique culture and the prosperous period around 100 years ago. Terracotta Warriors and Copper Carriage for the Emperor Qinshihuang (UNESCO World Heritage), Big Wild Goose Pagoda (UNESCO World Heritage) and Dacien Temple (Temple of Great Maternal Grace), the Bell & Drum Tower (out view), old Muslim streets, Shaanxi History Museum, Xi’an City Wall. Dragons Backbone Rice Terraces Fields, Rural Zhuang and Yao Minority Village, Cruising on the Lijiang River, Silver Cave, Drifting on the wonderland like Yulong River. 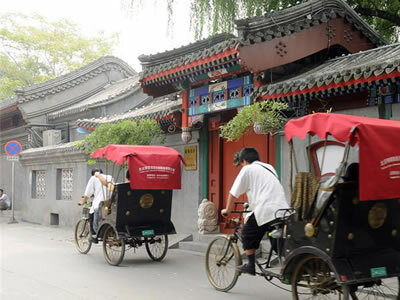 * Rickshaw through the Hutongs. 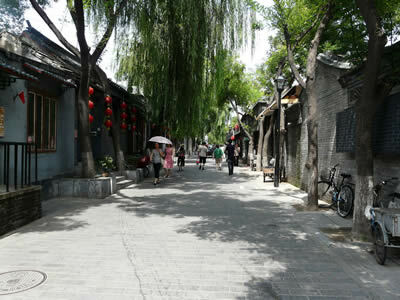 Have a lunch in the normal Beijing citizen’s home in the old Beijing Area. * Cruising on the breathtaking Li River to enjoy the magical natural scenery in Guilin and Yangshuo. * Enjoy the marvelous Terrace Fields on the high mountains. * Enjoy the charming countryside of Yangshuo and drifting on the wonderland like Yulong River! 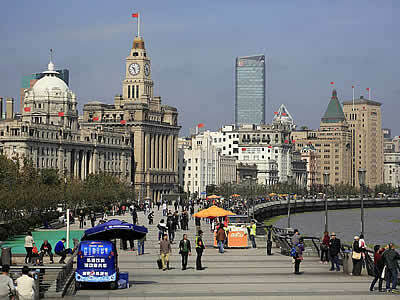 * Explore Shanghai’s colonial history, Enjoy the combination of the ancient cultures and modern miracles. The Lijiang River flows 83 km (52 mi) from Guilin to Yangshuo, where the karst mountains and river sights highlight the famous Lijiang River cruise. 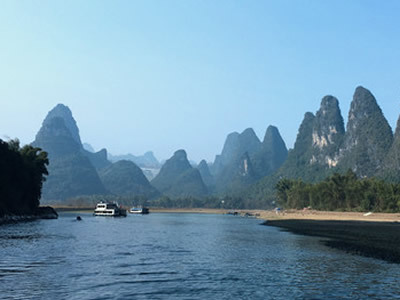 Gorgeous Karst peaks give you surprises at each bend of the limpid river under the blue sky. Your way is lined with striking jagged karst peaks and lush, pastoral scenes. You can breathe the fresh air, feel gentle breeze and appreciate the fabulous landscape on both sides of Lijiang River. This scenery has long inspired artists and poets, becoming the epitome of Chinese landscapes – the Lijiang River even appears on the 20 yuan bank note! Cruising on the Lijiang River from Guilin city to Yangshuo county is enjoyable no matter what the weather is like. During sunny days, tourists can enjoy the inverted reflection of the hills on both sides clearly in the water. During cloudy days, the hills are surrounded by mist and tourists may feel they are cruising in a mystical paradise. And when the rain comes, drizzle is like a vale, which covers the hills and river, and tourists may feel the poetic connotations of this too. The Luxurious Cruising Ship departs from the Zhujiang Wharf which is around 34km/50 minutes drive to the south of central Guilin. Tourists embarking on the cruise ship from Zhujiang Wharf are required to show passport when purchasing ship tickets and boarding. They need to get to the wharf at least 30 minutes before departure to leave enough time for passport inspection. Normally it will take around 5 hours from Guilin to Yangshuo. 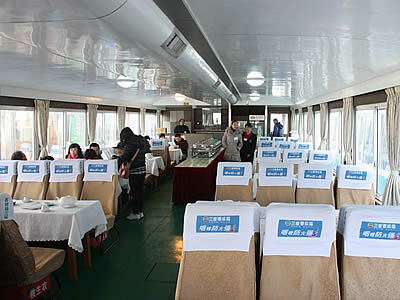 The ship ticket also include a buffet lunch in the ship. But normally the ship staff will recommend tourists to pay more for some fish which were caught by the fisherman just in the morning. If you do not want to take the fish dish, just ignore it. The river generally has Two Sections from Zhujiang Wharf. Various attractions like peaks and villages along the river have interesting descriptive names, which calls for much of your imagination to see what it is like. Listening to tour guides legendary stories about the attractions is a delightful experience when you are appreciating the landscapes. Most are mystical fairy and love stories. 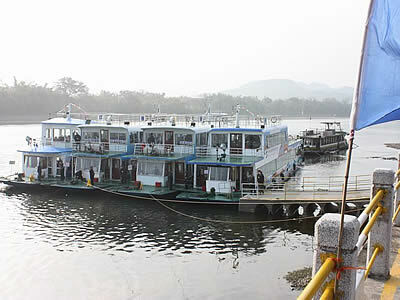 In the First Section, which is from Ox Gorge (near the Bamboo River Wharf and the Mopanshan Wharf) to Water-Dropping Village, the most charming scenery of the cruise awaiting you include: Wangfu Rock (Yearning-for-Husbands-Return Rock), Crown Cave, Half-Side Ferry, Yangdi Village, Mural Hill (Nine Horses Mural Hill), Xianggong Mountain, Yellow Cloth Shoal (RMB20 banknote Scene), and Xingping Town. The hills and peaks in Guilin, crafted by nature, rise sharply from the ground in many different shapes. 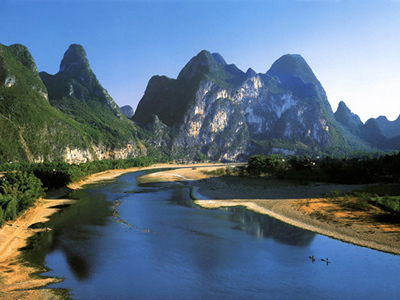 Each famous peak along the Lijiang River has been given a name based on its shape. Some peaks however require a great deal of imagination to see how it got its name. One of the most famous peaks along the Lijiang River is the 416-meter-high Nine Horses Mural Hill. The precipice of the Mural Hill is even and straight as if cut by knife, decorated with colors of white, yellow, gray and black. Images of nine horses may be seen indistinctly on the precipice, hence the name Nine Horse Mural Hill. Floating downstream, after passing Mural Hill, you will find the Yellow Cloth Shoal. The cliffs are steeper and the river becomes wider and calmer here, so it is the best place to appreciate the reflections of the verdant peaks. It is no wonder that the newly-issued RMB20 note carries the image of this part of the river. The water is so limpid that the reflection of a huge yellow flagstone can be clearly seen on the water. It is like a yellow cloth spreading across the countryside, hence the name Yellow Cloth Shoal. As you reach the area surrounding Xingping village, some of the most striking scenery along the Li River comes into view. The short distance between Xingping and Fishing Village (Yucun village) is the highlight of the cruise. The river takes a big turn at Xingping and the beautiful landscape and country scenery will form a lifelong impression on visitors. Verdant bamboo greet visitors along the river while water buffalo eat grass casually on the fields, peasants harvest their crops, school children play on the way home, and fisherman float along on bamboo rafts with their cormorants. 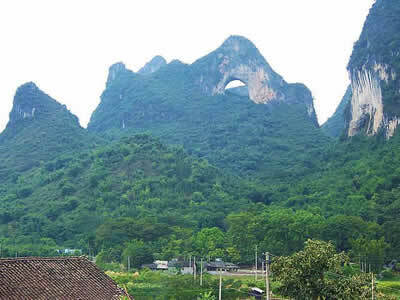 The Second Section goes from Water-Dropping Village to Yangshuo where you can see Snail Hill, Green Lotus Peak (Bilian Peak), and Shutong Hill (Schoolboy Hill). The scenery is equally beautiful. Your final destination, the charming Yangshuo town, sits in the midst of some of the area’s most incredible countryside. You can walk from the wharf to the West Street which is in the very center of Yangshuo County and famous for the restaurants and bars on it. In the town’s surroundings you can go cycling and rock climbing or walking and bamboo rafting. The most famous residents of the Lijiang River are the cormorant fishermen. With their conical hats, bamboo rafts and glossy, black winged companions, this traditional technique gives you a glimpse of a China of times-gone-by. Your private driver and guide will be ready for you at the airport or railway station when you arrive in Beijing. Sit back in a comfortable, non-smoking car, leave the hassles to your guide, and enjoy a trouble-free transfer to your hotel. 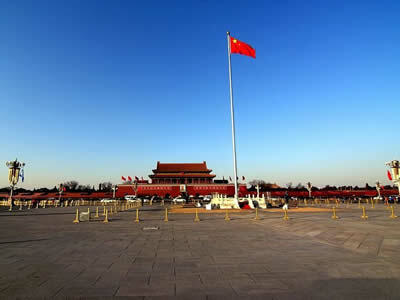 Today, your tour in Beijing will began with strolling on Qianmen Street, an old Beijing style commercial street right to the south of Tiananmen Square. 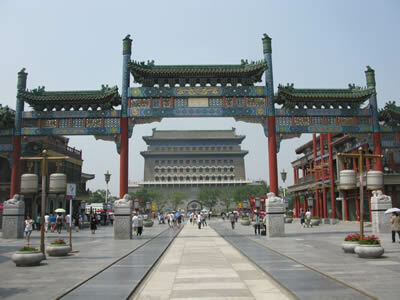 Afterwards you will walk north to visit Tiananmen Square, the heart of China and the biggest square in the world. 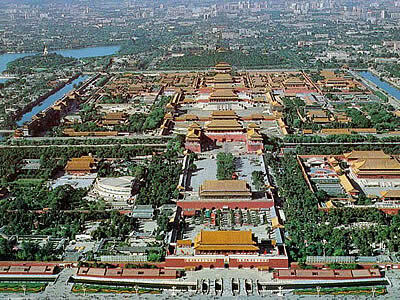 Then walk through an underground tunnel to pass Chang An Road before The Tiananmen Rostrum to get into the Forbidden City Area, visit the Forbidden City (Palace Museum & Imperial Palace, UNESCO World Heritage) - the history and meanings of it will be unlocked by your guide. Glean the history out of a place where the guidebooks leave you short. It has served as the residence to 24 emperors throughout the Ming and Qing dynasties (1368 AD - 1911 AD), but is now used as the Palace Museum. 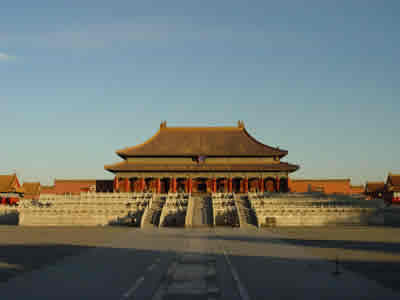 The Forbidden City has been the center of the highest authority for more than 500 years in China. 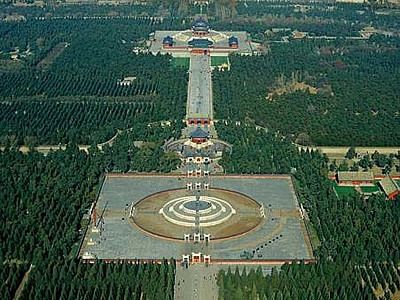 With garden landscapes and an enormous architectural complex consisting of 9,000 chambers and halls containing furniture and works of art, it has become the historical landmark witnessing invaluable Chinese civilization during the Ming and Qing dynasties. 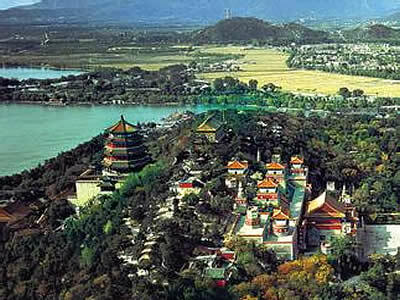 We specially include the Foxiang Pavilion (means Buddha Fragrance Pavilion) - near the highest place in the central mountain where tourist can have a birds eye view of this giant charming garden although the extra charge should be paid for it (we included the fee in the quotation.) . 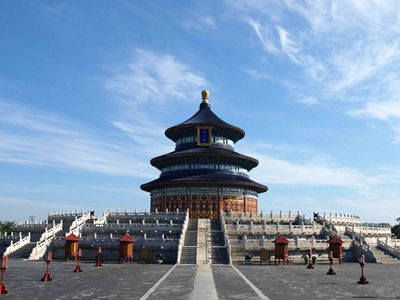 In the morning, stroll with locals among the 6,000 ancient trees in the Temple of Heaven’s Grounds. Watch locals play chess, exercise, practice martial arts, and maybe play traditional instruments. 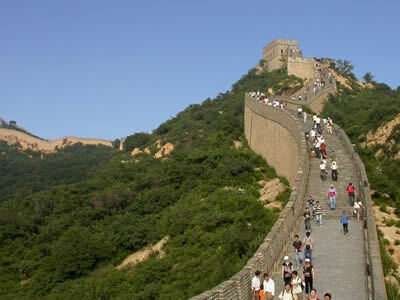 The last and also the highlight place of the tour in Beijing this time is the Great Wall at Badaling (UNESCO World Heritage). 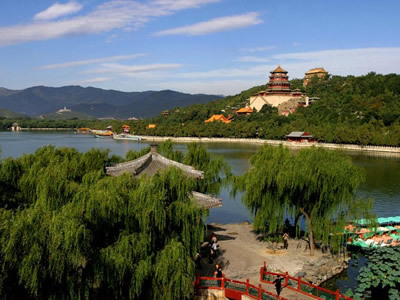 You’ll drive for around 40 km/2 hours to the north of Beijing into the mountains, walk and enjoy the fantastic view there. Enjoy a fair well dinner in Beijing. Then drive to Beijing West Railway Station, say goodbye to your local guide in Beijing and take the bullet train to Xi’an. In around 4.5 hours, you will meet your local guide at Xian Railway Station and get to the hotel by private transfer. 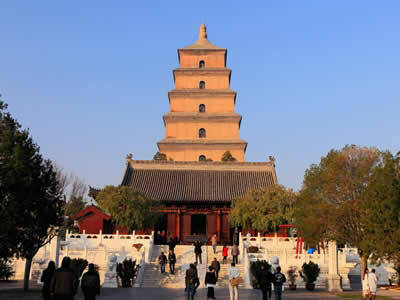 In the afternoon, drive back to Xian city to visit Big Wild Goose Pagoda (UNESCO World Heritage) and Da Cien Temple (Temple of Great Maternal Grace) around it. (You will get into the temple to have a close look at the pagoda, but do not include stepping up the pagoda.) 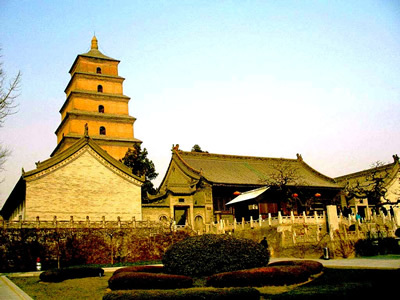 The Pagoda was built in 652 AD, Chinese-style architecture combined with Buddhist historic statues, murals and scriptures, topped off by the best panoramic view over Xi’an. 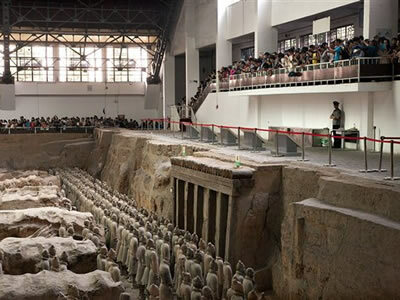 In the morning, continue your tour in Xian with the visit to Shaanxi History Museum in Xi’an. This Museum is one of the 3 best museums in China (along with the Forbidden City and Shanghai Museum). 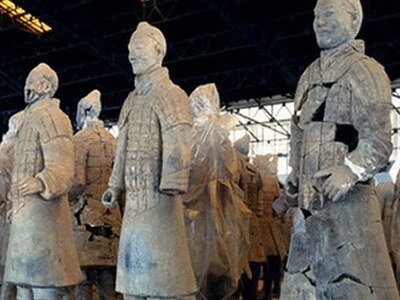 It is a perfect overview of Chinese history and not to be missed. 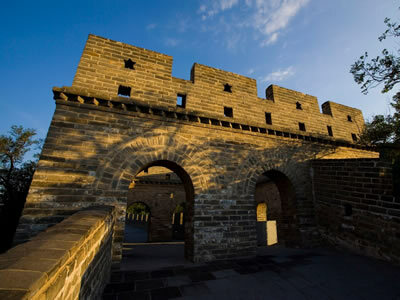 After lunch, you will visit the City Wall, the most well-preserved, most complete oldest city wall that has survived in China, as well being one of the largest ancient military defensive systems in the world. It is rectangular in shape and has a total length of around 14 km. The wall encloses an area of about 14 square kilometres. The city wall measures 12 meters high, 15-18 meters wide at the base and 12-14 meters wide at the top. Afterwards, your private driver and guide will transfer you to the Xi’an Airport. What you need to do is to sit back and relax. Today ends with the included flight to Guilin and the Hotel in Guilin. Your private car, driver and guide handle all the transfer for you at each end. Say goodbye to your local guide in Xian. After around 1.5 hours flight, you will meet your private guide and driver in Guilin. Transfer to your hotel in downtown Guilin. Be transferred to Longsheng County for around 110 km/2h30m drive in the morning, you will walk up on the spectacular Dragons Backbone Rice Terraces Fields, which have been carved from the mountains for hundreds of years and widely recognized as the best terrace field scene in China. In this Terrace Fields, you will pass some villages, the home to Zhuang and Yao minority people groups, featuring traditional architecture where no nails are used in construction. Their fabrics, language, folk songs, and warmth make a lasting impression. Coming back to Guilin in the evening, and at night, you can walk in the lake area in downtown Guilin to enjoy the spectacular night view with flood lights - long zigzag bridges, twin high pagodas, very charming gardens. In the morning, you will be transferred to Zhujiang Wharf which is around 34km/50m to downtown Guilin to take the cruising ship to enjoy the world famous Lijiang River Cruising from Guilin to Yangshuo. Meanwhile, your luggage will be transferred to your hotel in Shangshuo County. Relax on the famous Lijiang River Cruise to enjoy the wonderland along the River - the spectacular limestone peaks, graceful bamboo groves, crystal clear water and farmers tending rice paddies. 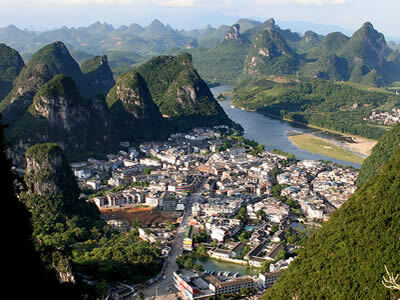 Your destination today is Yangshuo, a small but picturesque town around 70 km to the south of Guilin. A buffet lunch is served on this four hour cruise (included in the quotation). The ship will arrive at Yangshuo at around 2pm. 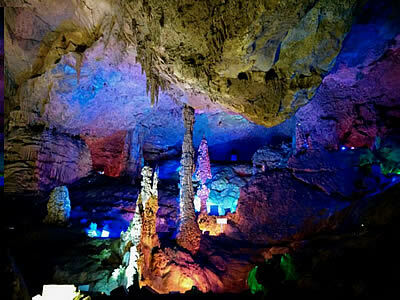 In Yangshuo, you will drive into the charming countryside, via the "5 km Picturesque Landscape Corridor" to get to Silver Cave - the most beautiful big karst cave in Guilin area to explore its breathtaking beauty. 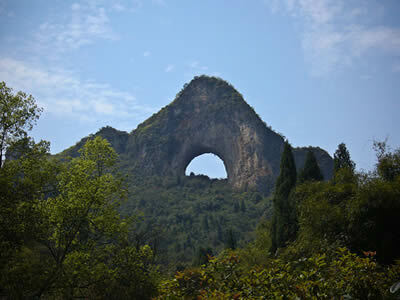 You will also enjoy the Moon Rock on the way between the Silver Cave and downtown Yangshuo. Wake up naturally in the morning, Today starts as early or late as you desire in this pretty and cozy small town. In the afternoon, enjoy the Drifting on the fairyland like Yulong River! Afterwards, you will be transferred to Guilin Airport (85km/1h15m), say goodbye to your local guide in Guilin and to take flight to Shanghai – the most cosmopolitan city in China. In around two hours, you will meet your local guide and driver in Shanghai. Just in time to catch the neon lights lighting up. Capture the city’s glamour through your lens and feel the citys pulse. Today you will taste the feature of Shanghai both “Classic and Modern”, feel the East-meets-West fusion and the air of the "Paris of the East". Today is packed: In the morning, your personal driver, and guide will be waiting at your address in time, ready to maximize your time. Your tour in Shanghai will begin with the visit to the 468m high Oriental Pearl Tower in Pudong area (East of Huangpu River) which is the icon of Shanghai, ranks the second tallest in Asia and the fourth tallest tower in the world. You will take the express elevator to arrive at the upper sphere (the middle sphere) which is 250m above the ground. 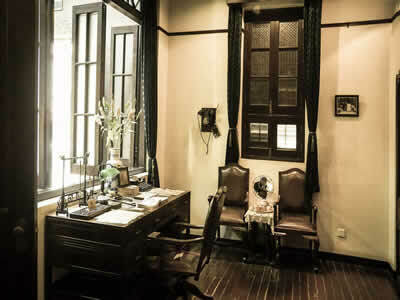 The Shanghai Municipal History Museum located at the ground floor in the tower is also a must for tourists in Shanghai. 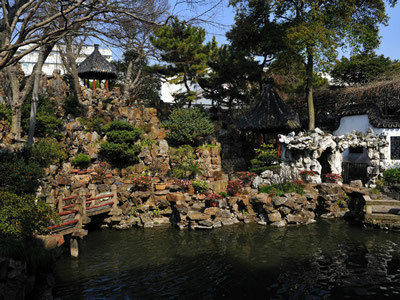 The museum has six separate galleries which show the evolution of Shanghai in a period of 6,000 years. 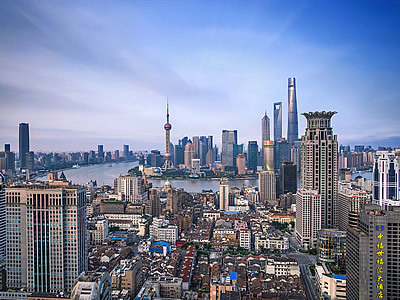 Then you will get to the West of Huangpu River to take a stroll on the Bund - the waterfront by the side of the river, and with many elegant classical skyscrapers built in the colonial period, it is also the most important showcase of Shanghai. 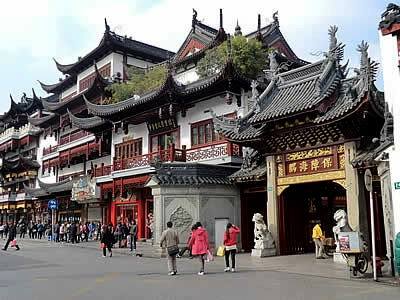 In the afternoon, you will get to the Old Town of Shanghai which is right by the side of the former French Concession and Huangpu River, to visit the Yuyuan Bazaar and charming Yuyuan Garden, one of the best typical Classical Chinese style gardens in China. 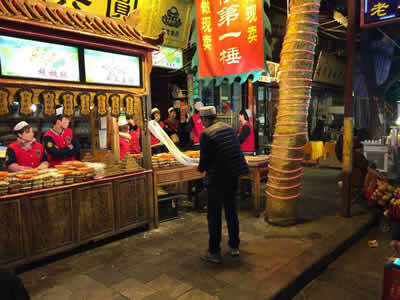 You will also visit the Old City God Temple here – the most famous city god temple in China and one of the most important religion centers for local Shanghai citizen. 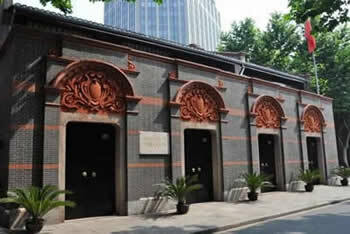 Then you can visit the heart of the former French Concession – Xintiandi area. It is an upmarket, pedestrian only, shopping, eating and entertainment district composed of refurbished or reconstituted traditional early 19th century Shikumen ("stone gate") houses, narrow alleys and stone paved courtyards. 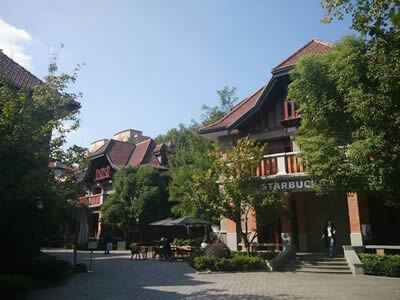 It is considered one of the first lifestyle centers in China. 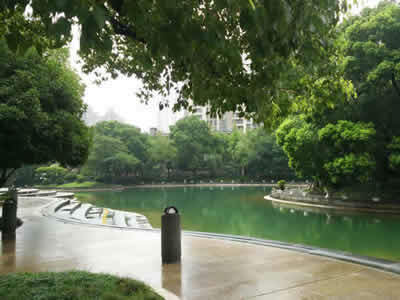 With the Taiping Lake area right by the side of it, Xintiandi area now is also the most expensive place to live in China, with some apartments costing more than Tokyo, New York and London. It is home to the Chinese elite and top executive expats. 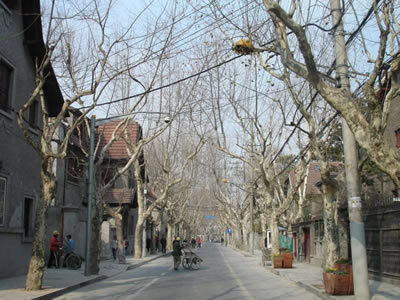 The small leafy street between the North Block and South Block of Xintiandi is Xingye Road (old name Rue Wantz, Built in 1914, named after the name of the chief engineer of Public Council of the French Concession, Wantz). 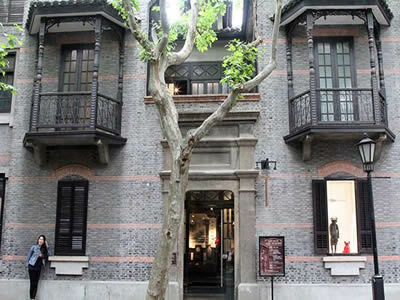 The Shikumen Open House Museum here presents Shanghai life as it was around the 1920s and 30s in a Shikumen-style "stone-gate" house. There are about 7 rooms furnished with period furniture. The museum includes a tingzijian, a small triangular room, sometimes rented out at a low price to impoverished writers and others. This kind of building style was originally created to house refugees from the Taiping Rebellion (1851-1864) who flooded Shanghai from the nearby provinces. It gained in popularity and remained the preferred style until 1980s in Shanghai. In the south eastern corner of this block, also on the Xingye Road is the Site of the First National Congress of the Communist Party of China which has now been preserved as a museum. It is also located in the historical Shikumen buildings in which the 1st National Congress of the Communist Party of China took place on 23 July in 1921. 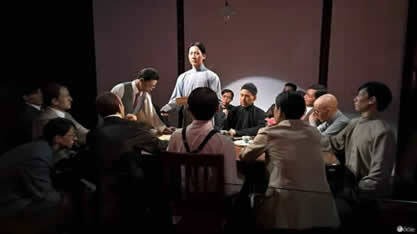 The museum houses exhibits about the history of China and Shanghai and the foundation of the CPC. Further down this quiet picturesque street with pretty buildings and villas on each sides, many elegant detached French style garden villas will appear in front of your eyes. Built in 1920s, this community was designed by French architect and copied from the buildings in Biarritz, a famous beach resort by the side of Atlantic in the south France near Spain. Today your private driver and guide will meet you at your hotel according to your time to transfer you to the airport on time. Say goodbye to Shanghai.